Holy wells, steeped in folklore and tradition, feature in every county in Ireland; some associated with saints and cures, others pre-dating Christianity. It is estimated there are over 3,000 known holy wells throughout the country but there could be many more which have fallen out of use or their stories forgotten. The Archaeological Survey of Ireland has recorded 117 such wells in Co Sligo, but archaeologist Tamlyn McHugh is calling on local people to help find some of the "missing wells" and fill in the gaps in terms of the information that is known about these wells and the traditions associated with them. A similar study carried out by Donegal County Council's Heritage office some years ago resulted in 26 "missing" wells being identified. 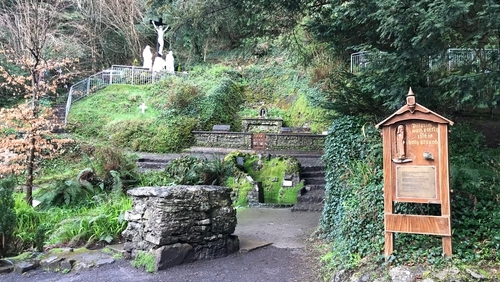 The best known holy well in Sligo is Tobernalt which is visited by thousands of people every year. It is strongly associated with penal times in the county but long before that, it was a place where the Celts celebrated the festival of Lughnasa and this was later christianised to Garland Sunday which is still celebrated annually on the last Sunday in July at Tobernalt. The search for Sligo's holy wells is part of a community archaeology project by Sligo County Council's Heritage Office which aims to promote greater awareness and knowledge of the wealth of archaeological sites in the county. In relation to holy wells, Tamlyn McHugh of Fadó Archaeology, says that among the wells known about in Sligo are some unique and treasured places including St Colmcille's well at Doonerin which is only visible when the tide is out; and Tullaghan Hill holy well which inspired WB Yeats to write "At the Hawk's Well". She is now asking people in Sligo to get in touch if they have any information to share about the holy wells of Sligo, in particular if there are customs, rounds, traditions, stories or cures associated with wells people are aware of. Ms McHugh says that by taking part in the survey, people can help to record these important elements of Sligo's heritage and the information gathered will help produce a permanent database of known holy wells and the beliefs attached to them. The database will be held by the Heritage Office at Sligo County Council.